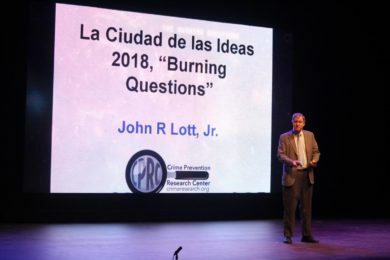 Dr. John Lott gave the second talk at the La Ciudad de las Ideas 2018 in Puebla, Mexico. The country has a murder rate that is 5 times the US rate and extremely strict gun control laws. But the audience was very open to Dr. Lott’s points. Here is a discussion of some of the graphs.